Engadget – For obvious reasons, Netflix is obsessed with the speed and quality of your internet connection. To help keep you up to date on how your connection is doing, it’s launched Fast.com, a trademarked webpage that simply loads and runs a speed test, no user intervention necessary. While it also links to speedtest.net to help those looking for more details and control, Fast.com is pared down with no ads, no plugins, no configuration and not even an option to check upload speeds. 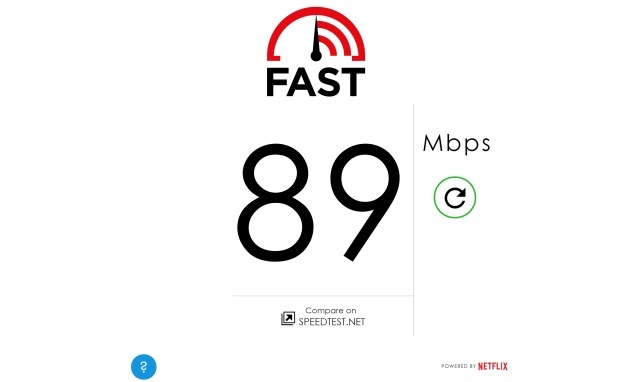 Netflix probably has all the data it can handle on broadband connections worldwide, but opening its own speedtest site shouldn’t hurt. VP David Fullagar says the test will work on mobile or broadband anywhere in the world, so no matter what, it can go in your toolkit as an easy check when things are loading slower than you think they should.